In 2011 Mark Ernestus (of Basic Channel Rhythm & Sound and Hardwax fame) traveled to Senegal in search of original Sabar and Mbalax recordings but ended up inviting over 20 percussionists and other musicians - most of whom he had become interested in via local cassettes or Youtube clips - for a spontaneous recording session in Dakar. 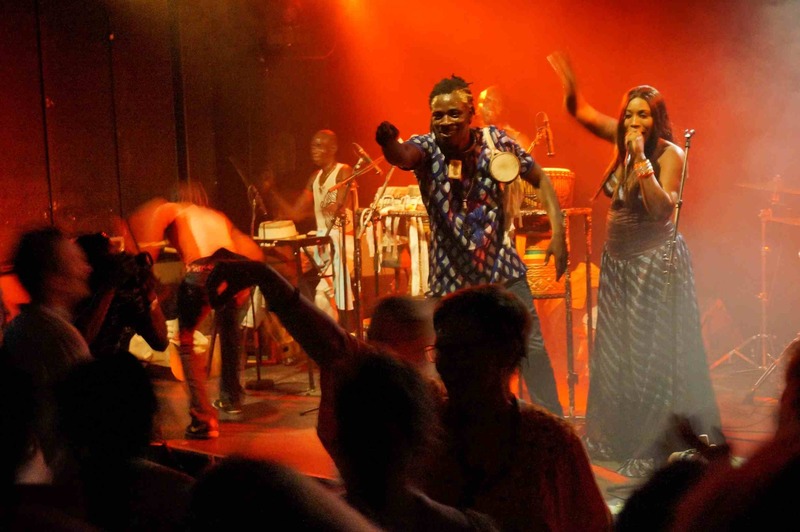 Mark arranged and mixed these recordings back in Berlin, which were released on the 2012 twin albums "800% Ndagga" and "Ndagga Versions" under the "Mark Ernestus presents Jeri-Jeri" moniker - simply using the Sabar drummers' clan name. Since then, the project has evolved into something new in its own: From the initial pool of artists involved, Mark has handpicked a smaller core group with whom he intensified collaboration, toured throughout Europe and recorded new tracks to arrange, edit, finish production, and mix with his own, more electronic aesthetic. The album "Yermande" was released to much critical acclaim late in 2016. The group has become a killer live outfit and has played clubs and major festivals all across Europe - including Melt!, Roskilde, Dour, OFF! in Katowice or the Festival Ile d'France in Paris - and in the process long have outgrown initial limitations.